Thu, 26/03/2015 - 16:23 Elise D.
So far, we already have 31 projects set up by the community, which is a great start! Go to the “Projects” section to browse and discover the different projects. 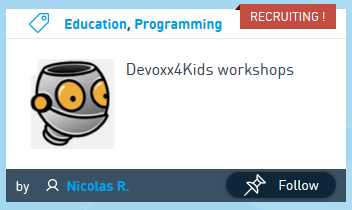 On every card you can get the project’s main information: the tags it is related to (‘Education’, ‘Programming’), its status (‘Recruiting’), the project title and its author. If you find a project that inspires you, click on subscribe to join it. If the membership is free, you will directly join the group. If not, you will need to wait a bit for the administrator’s agreement. You can also share it with your network or follow the project if you want to be notified of its evolution. If the author of the project has set the content visibility to public (we will come back to that just after), you will be able to have a look to what is going on inside the project. For instance, you will be able to see the tasks, files or comments posted by the members of the group. Creating a project is really easy. You just have to fill in the different fields. ‘Project name’, ‘Summary’, ‘Description’ and ‘Theme’ are basic information that will help people understand what your project is about, so don’t hesitate to be precise. Add an image and specify your project characteristics: SDK version, Languages, Attributes. If you have one, you can also specify the Github URL of your project. 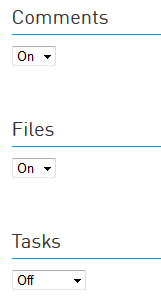 Then, choose your projects settings for comments, files and tasks. By selecting ‘Off’ or ‘On’, you will allow (or not) your group members to post comments or files in the project and to attribute tasks. Last but not least, specify the member access conditions and your project visibility on Community. For the first one, you can chose whether it will be a ‘free’, ‘on validation’ or ‘on invitation’ access. 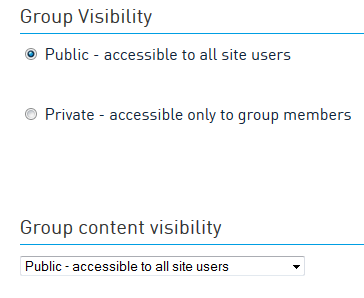 Setting ‘Private’ for the ‘Group Visibility’ will hide it even from the search function of Community. Only members you have invited will be able to see the project. Setting ‘Private’ for the ‘Group Content Visibility’ will only hide the project activities for non-members (comments, task, files uploaded). This may give to other users a good reason to join. Once your project has been created, it’s time to manage it. 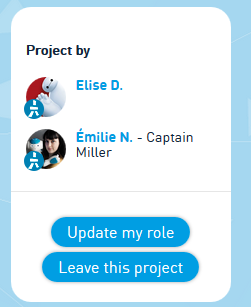 Invite other users to join your team and update their roles by clicking on the ‘Group’ panel. Here, you can edit your teammates’ user role or permissions in the group. 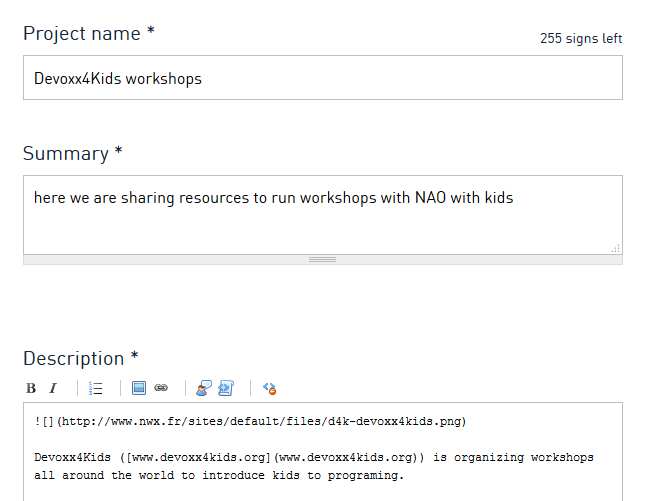 If you have enabled the task and files features, you can start uploading documents or attributing tasks to your members. 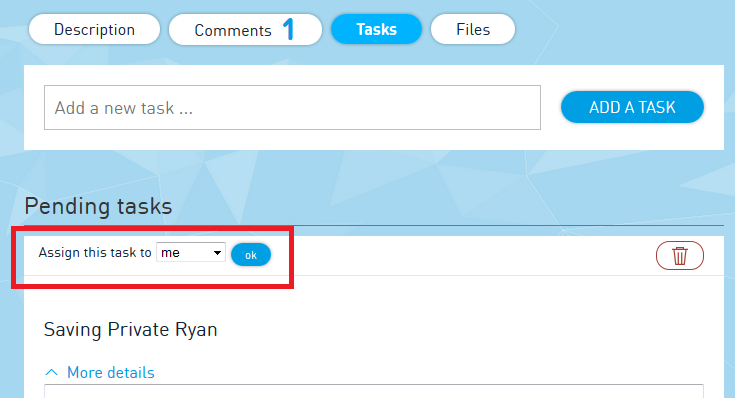 After creating a task, you can simply click on ‘Assign this task to’ and choose a member. Here you go, you have mastered the second step to become a Community expert! See you next week for the final part of this series.